Happy Fall Y’all! While I love Autumn, I never hurry the end of Summer with it’s sunshine and warm days. I relish football and boots and sweaters and hot drinks and leaves and especially Halloween, but I don’t look forward to the cold and snow of Winter. 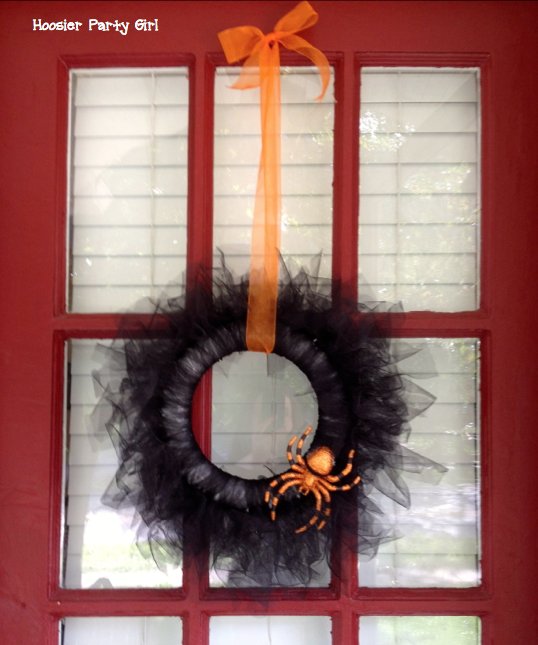 Decorating for Halloween started to get me in the spirit, but last weekend I really got into the spirit of the season. 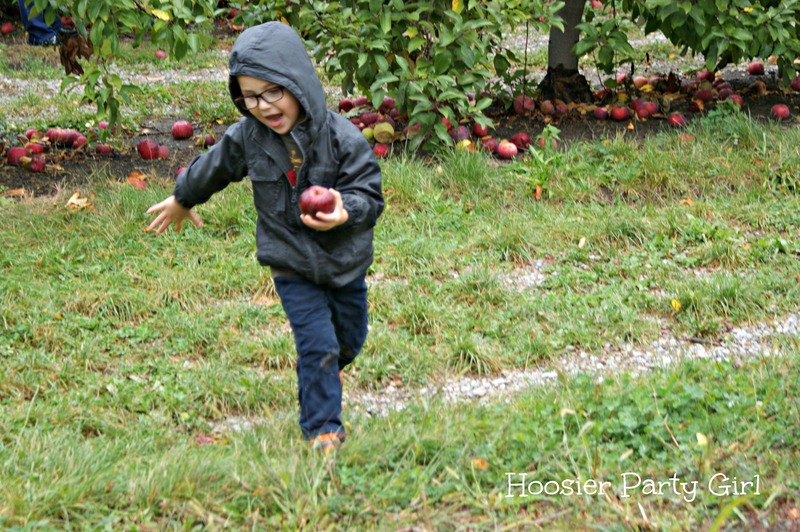 After visiting The Children’s Museum Guild’s annual haunted house, we braved the misty weather to visit Tuttle Orchard and pick some apples. 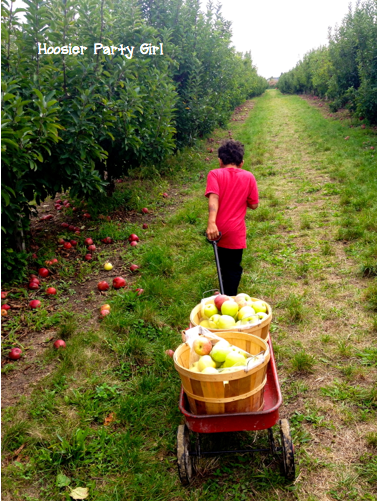 Actually, we picked a lot of apples – filling two wagons. I made an apple pie and some apple chips, and EW has been eating apples like they are going out of style, but most of the apples will be turned into applesauce which we will stock our freezer with for the year. I already have lots of blueberries in the freezer; this weekend, I also loaded it with a quarter hog and six large jars of butternut squash soup (my two squashes were so large I had to add a lot of broth and milk). I guess part of Fall is preparing for hibernation. Enjoy your applesauce warm or jar and freeze. Defrost frozen applesauce in the refrigerator. I am always sad to see summer go because I fear the freeze that comes with winter, but there can be no better consolation than Autumn. 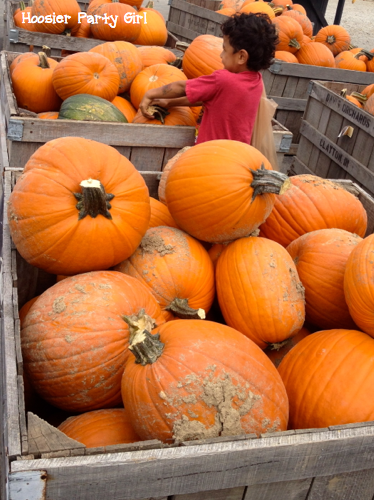 Football, pumpkins, spooks and scares, hayrides, cider, and hoodies… We started getting in the theme of things last week, decorating the house, then this weekend it was apple everything after a trip to Tuttle Orchard and Pumpkin Patch. Today, I got a sneak peak into The Children’s Museum Guild’s 50th Anniversary Haunted House “Time Warp: 50 Years of Fear”. 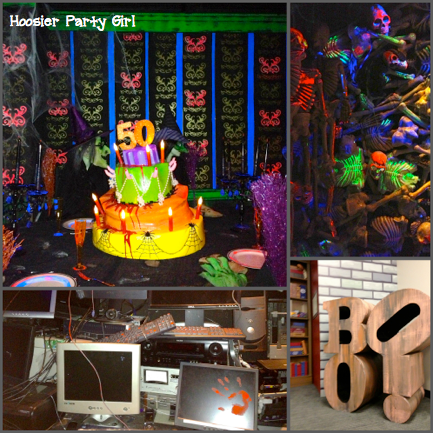 In honor of their 50th anniversary, the Children’s Museum Guild has created a haunted house that takes you back in time 50 years, back through time, and into the future with fun 3-D effects. The kids will love the Star Wars Creepy Cantina, and parents will be entertained by the tribute to Michael Jackson’s Thriller video, the computer graveyard, and Y-2 Kaos room. I am looking forward to taking the kids, first during the Lights-On Hours, but I anticipate EW will want to go back through during the Frightening Hours “for children who dare to be scared”. This year, on Friday nights there will also be Xtreme Scream! hours focused for teens. For a guide on which experience is right for your family, check out this infographic. While you are at the Children’s Museum, don’t forget to visit their special exhibits Bat Encounter and Hollywood Haunts. The Children’s Museum Guild’s haunted house and other special exhibits are great for the whole family. You should go. In fact, I think you should go so much that I am giving you five ways to win Four Tickets to “Time Warp” at The Children’s Museum. Follow me on twitter and leave a comment below with your twitter handle. Pin any Hoosier Party Girl blog to your Pinterest boards and leave a comment below telling me what you pinned. You can do this once per day! Tweet about the giveaway (maybe something like: I want to visit the Time Warp haunted house at @tcmindy – @HoosierPartyGrl has tickets to #giveaway http://wp.me/p2g2wW-96 ) and leave a comment below telling me you did. You can do this once per day! Circle me in on Google+ and leave a comment with your G+ name. I will choose a winner on Tuesday, October 15th. Good luck and Happy Fall, Ya’ll! I was invited to a blogger preview of Time Warp by The Children’s Museum Guild and provided four tickets to giveaway. All opinions are my own.